All in the family: Miami City Commissioner Frank Carollo; Miami City Mayor Tomas Regalado; former Miami City Mayor Joe Carollo, brother of the commissioner; Miami-Dade school board member Raquel Regalado, daughter of the current mayor; Miami City Commissioner Francis Suarez; and his father Miami-Dade Commissioner Xavier Suarez. Going into your family's profession probably gives you an advantage over the average newbie: you know the ins and outs, have connections in the industry, and maybe even got some on-the-job experience. The same advantage holds true for elected office. Before Miami City Commissioner Francis Suarez and Miami-Dade School Board member Raquel Regalado ran for office, they spent many years in the public eye because their fathers were politicians. Both Suarez and Regalado count that time as valuable experience. Raquel Regalado was in her early 20s when her father Tomas Regalado won his seat as a commissioner for the city of Miami. 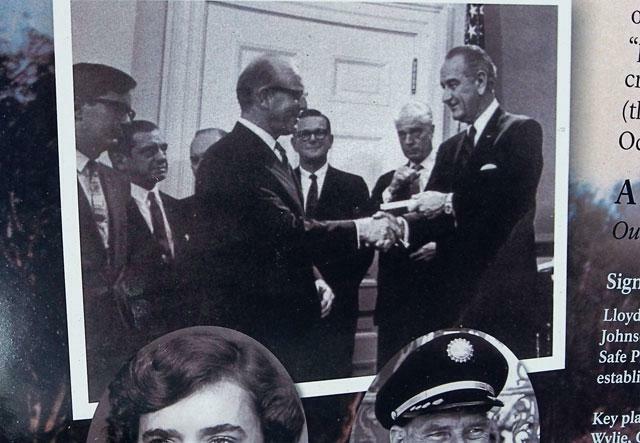 She had been in the spotlight already as the daughter of two journalists, but when she opened the Miami Herald one day, she quickly realized that being the daughter and chief of staff of a politician was entirely different. Tomas Regalado later became Mayor of the City of Miami. On the other hand, the public attention was helpful when Raquel Regalado and Francis Suarez decided to run for office. In addition to instant name recognition, both candidates enjoyed the benefit of donor networks, cultivated by their fathers. Do Raquel and Francis think it’s unfair that they had this advantage over others? Raquel points out that the years of exposure to public life acclimate an elected official’s children to the demands of a political career such as public speaking and interacting with the media: "It's so much easier to do something when you've seen the inner workings." This post is part of WLRN-Miami Herald News' new blog called What’s the Story?, where we let your curiosity about South Florida guide our reporting. Tell us: What you have always wondered about South Florida? What's Up With The Naked Carpet Guy? This story is part of WLRN's new investigative blog, What's the Story? It originally ran as part of WLRN's Under the Sun What's Up With South Florida? series, in March of 2010. 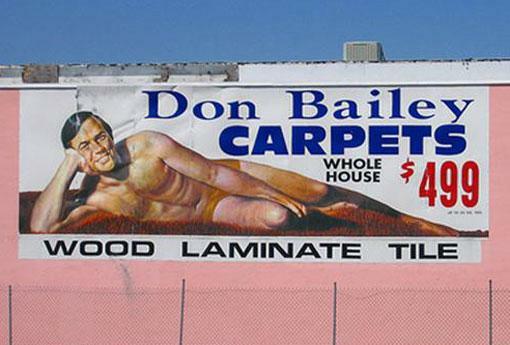 Some time ago, journalist Nicholas Spangler wrote in The Miami Herald, “He calls to mind Michelangelo’s David, with a mission from a more swinging time.” He was referring to Don Bailey, the naked carpet guy you’ve noticed on the billboard driving down I-95.